Cub Scouts participate in many fun activities such as crafts, games, building and racing model cars, hiking, camping and much more. Pack 142 serves boys and girls in Kindergarten through grade 5 and their families and provides a quality scouting program that is designed to provide your child and family with exciting experiences and memories that last a lifetime! Meetings are generally held once per month at Littleton School (during the warmer months, we generally meet outdoors at the Glacier Hills Association). Each den usually meets 1-2 times per month in addition to the pack meetings. We always try to work with families in each den to arrange a schedule that is best for all families in the den. If a scout is not able to attend a meeting for any reason, we will always work with the scout and parents to ensure the scout is able to catch up with any badge requirements that have been missed. We understand that families have other commitments! Cub Scouting’s values are embedded in the Scout Oath, the Scout Law, the Cub Scout motto, and the Cub Scout sign, handshake, and salute. These practices help establish and reinforce the program’s values in scouts and the leaders who guide them. The den—a group of six to eight boys or girls who are about the same age—is the place where Cub Scouting starts. 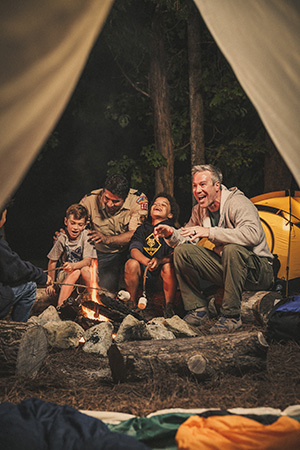 In the den, Cub Scouts develop new skills and interests, practice sportsmanship and good citizenship, and learn to do their best, not just for themselves but for the den as well. Recognition is important for all members. The advancement plan provides fun for Cub Scouts, gives them a sense of personal achievement as they earn badges, and strengthens family understanding as adult family members and their den leader work with Cub Scouts on advancement projects. 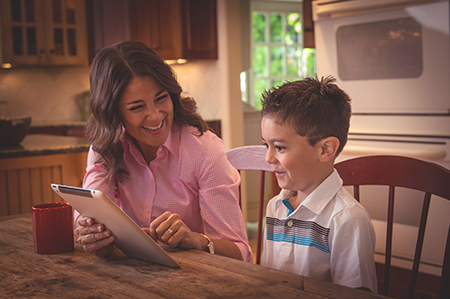 Whether a Cub Scout lives with two parents or one, a foster family, or other relatives, family is an important part of Cub Scouting. Parents and adult family members provide leadership and support for Cub Scouting and help ensure that members have a good experience in the program. Cub Scouts participate in a huge array of activities, including games, projects, skits, stunts, songs, outdoor activities, trips and service projects. Besides being fun, these activities offer opportunities for growth, achievement, and family involvement. 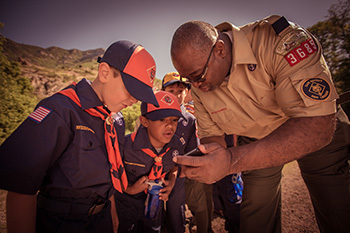 Cub Scouting focuses on the home and neighborhood. It helps boys and girls strengthen connections to their local communities, which in turn support growth and development. Cub Scout uniforms serve a dual purpose, demonstrating membership in the group (everyone is dressed alike) and individual achievement (Cub Scouts wear the badges they’ve earned). Wearing the uniform to meetings and activities also encourages a neat appearance, a sense of belonging, and good behavior. To find out more information about Pack 142 or our programs, please email info@pack142.net.